If you follow us on Facebook, Twitter or Google+ then you’ve most likely seen us sharing the following posts. If not, it’s time to catch up on your reading! Here’s a quick update on some of the posts we read and found interesting this week. We read an interesting article over at Bing Blogs about web spam filtering. Give this article a read to understand what web spam is, how to detect it and how to filter it from your site. This post also goes into detail about why spammers spam in the first place, which you need to understand in order to locate it and get rid of it once and for all. Search Engine Land’s recent post covers Google’s announcement of the end of Authorship and the history of Authorship over its 3 year experimental period. If you’re not familiar, Authorship allowed webmasters to mark up the content on their sites with specific tags, connecting each piece of content to an author profile. So what does the end of Authorship mean for webmasters? Read this in-depth article to find out! This week, Search Engine Journal explains the importance of using Wikipedia for keyword research; a basic skill in the SEO’s repertoire. These 9 steps will help you develop some great strategies for doing keyword research. In this Contently article, the pattern of popularity and decline of different content formats is discussed. The writer shares her predictions about what new content formats are going to become popular over the next few years or so, and also how their popularity is going to be abused. It just goes to show you can’t have too much of a good thing. This helpful Quicksprout article explains the issues associated with corporate blogging, and what you should be doing to create successful, relevant and interesting content for your corporate blog. Have a read of the 7 rules provided, and your blog will be generating more traffic than you’ve ever seen! If you’re a Facebook user, you’ll want to read this one – FB’s newsroom blog recently updated users about the new and improved News Feed. The update reduces click-baiting headlines and helps people see links shared on Facebook in the best format possible. Have you noticed any of these differences on Facebook? Econsultancy posted this helpful and interesting list of online marketing statistics for last week. If you want to check out what has been going on and what has been popular or not this past week, click the link! Search Engine Journal also posted this article, outlining ROI measurements on a 1,000 word post as opposed to a 2,000 word post. Which do you think has better ROI? If you want some info about the size of posts and their relative return on investment, check this one out. You might get some ideas about how you should be writing your content: big or small? 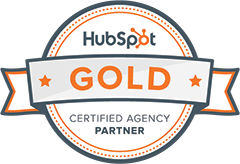 Check out this helpful FAQ on Attribution Reports over at HubSpot. This new report system could change your marketing life, so if you aren’t familiar with it already, read this FAQ. Basically, a attribution report is used to understand the journey someone takes from the first time they set foot on your website to the time they become a customer. If you want to be a successful marketer, you need to understand all influencers. Read about smarter marketing techniques on The Next Web. This post explains how the psychology behind social media can propel your marketing techniques further. Check out the 7 studies that could help make your marketing smarter. Start reading! We hope you enjoy these. This entry was posted in General, SEO, Strategy, Web. Bookmark the permalink.